Zemun is an urban and old fashion part of Belgrade. Zemun was the separate town long time ago, and it was absorbed into Belgrade in 1934. It is one of the most beautiful municipalities of Belgrade, and more or less works as a town for itself. Zemun has one of the biggest parks in Belgrade and one of the most stunning sightseeing places. Besides all of that, Zemun has remarkable venues, great for a warm up before crazy Belgrade’s nightlife scene! Join the ride trough Top 15 venues in Zemun. Cirkus Pub is the place where you will feel like at home. The staff is among best in town. Long list of best foreign and domestic beers and whiskeys will completely leave you speechless. They are also very proud of food menu, especially burgers: from veggie ones to the best cheese and bacon variants. Tip: Try Classic Cheeseburger, its a heaven on earth! There are several Rakia Bars in Belgrade, and Zemun one its stand out! This bar is dedicated to Serbian most famous national beverage – Rakija. Rakija is usually consumed at home, but it’s even better to drink it when you are out with your homies. It aids both body and soul. Lakat is the newly opened bar with a great view of the Gardos Tower and on the Danube River. It spreads on two levels; it has two amazing large terraces. It offers local, regional and international drafts and bottled beers. In addition to beer, they offer several types of single malts, while other types of drinks are kept to the minimum. At the Lakat pub you can play darts, and evenings are reserved for the promotions of various books, comics and other cultural events. The place is pet friendly. Vada Precica is located in the central pedestrian zone of Zemun. 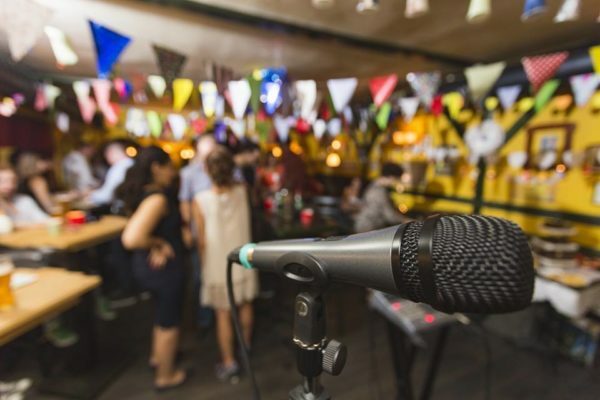 Pub with excellent beer brings together people who want to socialize in a relaxed manner with quality rock as a favorite form of an entertainment. Pub Crveni Rak (translation: Red Cancer) is the oldest pub in Zemun and well-known address for true beer lovers of all ages. In addition to the 14-year-long tradition, it makes this pub different from others is the specific atmosphere and the most diverse selection of draft and bottled beers in town. The interior of the pub is decorated in a retro mood, in accordance with the name; the venue is dominated by the red color. There are various of old advertisements on the walls, antique furniture, original wall clocks Beautiful tile stove is providing warmth in the cold winter days. 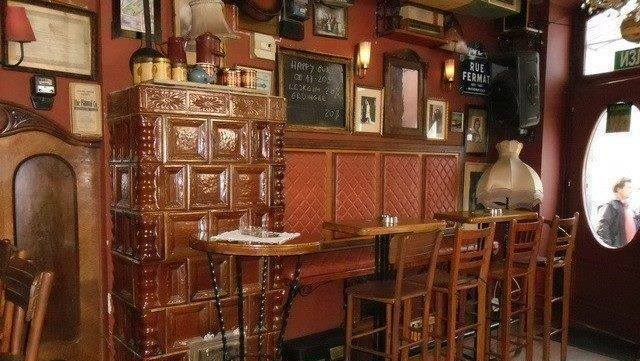 Good to know – this is probably the smallest pub you will ever see! Founded in 1993, Reka (River in English) restaurant was opened on the coast of Danube river in Zemun. In this magnificent restaurant, spirit of Belgrade can be felt. Here you can expect only cordial company and chance to spend your time in warm and pleasant atmosphere. You will enjoy listening rock ‘n’ roll, pop and evergreen music, while heaving grand meals and delicious food. In Reka restaurant, everything is connected. Personnel, musicians and guests are like a big family, which really knows how to provide you with a good time. Salon 5 offers finest Mediterranean menu. They are using only fresh high quality ingredients. Their kitchen is known for keeping the recipes simple and powerful. The team’s vast international experience in the gourmet industry adds an extra layer of class to your experience every time. We advise you to sit back and relax, and let them do the magic! Spice up your weekend night out with the smoothest jazz in town, good start for a bachelor party. Every Friday and Saturday, Salon 5 has live music, from Django to Chet, to keep your evening in full swing. This place is different, unique and conceptualized. Restaurant/bar Supermarket is probably among the few places in the city that is designed to impress everyone. If you visited Zemun, but you haven’t visited Saran restaurant, it’s like you have never been in Zemun. This place is the most famous fish restaurant in Belgrade. Make sure that you book your table before you decide to go there. Restaurant can also brag about creating its own classic domestic cookies that represent delicious and perfect dessert. Steakhouse Toro has already won hearts of many with its pleasant atmosphere and quality of service. You can enjoy eating delicious beefsteak, T-bone steak, risotto, pasta, salads and delicious desserts. Wine goes perfectly with the steak, so feel free to choose any from the long wine list. Quality service, tasteful meals and the best wines is what you will get once you step into Steakhouse Toro Grill. One of those “neighborhood” and local places that people from Zemun adore, and tourist love! Generally it’s a pub, but also a place for friend, sport or any kind of a gathering. Notice: happy hour is from 8 am till 4 pm. 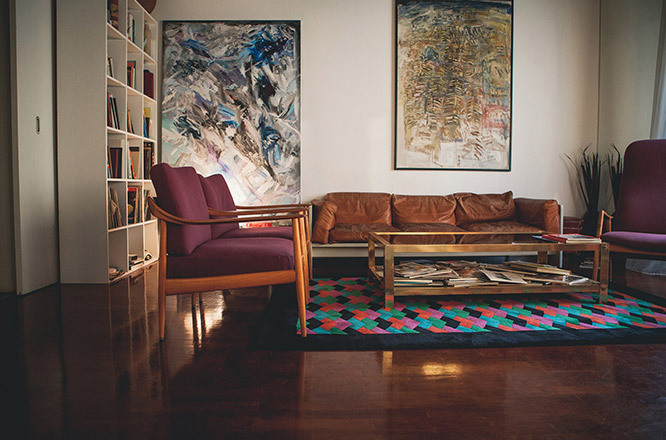 The modern and practical furnishings, in several shades of brown and white colors, with comfortable armchairs, “Dalton” is the perfect place to take a break with a newspaper or watching TV, as well as to chat with friends over a drink during the day. In the morning and during the day they play Italian, Greek, Latin and jazz music, and the evening is going slightly faster with the house beats. A river raft (better known as splav), it is a cafe – pub during the working days, and on weekends it is a great place for a night out! The best Belgrade’s cover bands are playing live there. It is a must visit place while you are exploring Belgrade. Office Pub has the most beautiful view across the river towards city center. 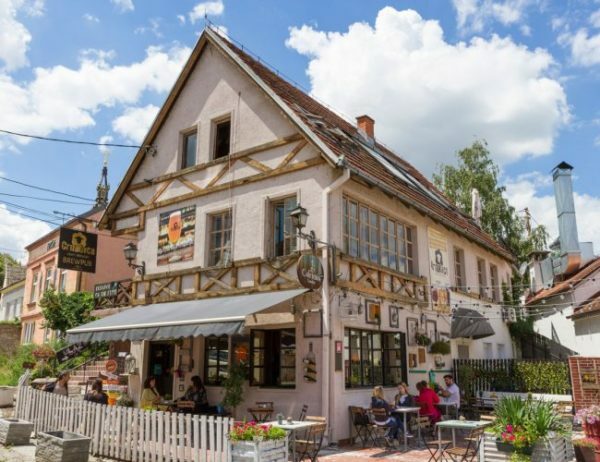 This “kafana” (tavern) is among best restaurants in this area. 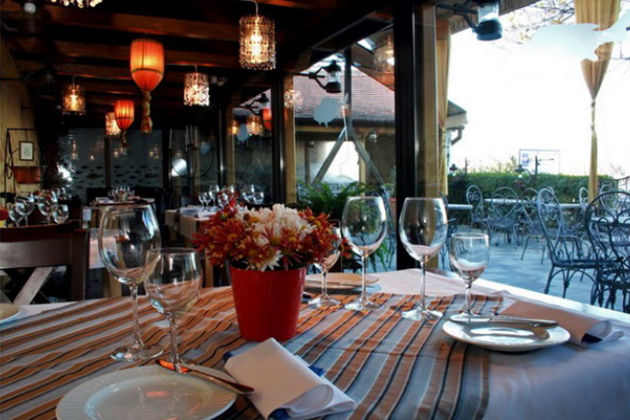 The restaurant offers national cuisine and is located in the center of Zemun. For desserts they offer traditional sweets: koh i šnenokle. On weekends you can hear sounds of live tamburitza. The trademark of this bar is a beautiful terrace with a fantastic view, which will make you to forget time and indulge yourself in creating new memories. Start your day with the smell and unusual tastes of excellent coffee, while reading the newspaper or simply just chilling, enjoying the beautiful view over the river. Click here to check full list of Belgrade Restaurants and Bars.